Welcome to 18720 Vista Del Canon Unit H, this corner unit situated off the 14 fwy exit Via Princessa. 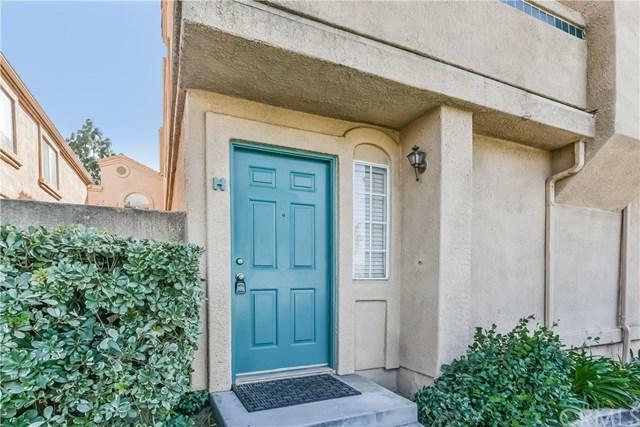 As you drive into the gated and private community of Vista Del Canon you will notice how this unit's location provides ample street parking or guests and close proximity to the community amenities. This 2 bedroom 2 bathroom comes with an attached 2-car garage. Features include high ceilings, tons of natural light , open floor plan, walk in closet, plenty of storage space, city views from the balcony & in-unit wash/dryer. Owners have also touched up the home with a fresh coat of paint, refinished cabinets, and added a new panel and sub-panels. Surrounded by shops and restaurants you'll find everything you need right inside. Come take a look and fall in love!